This article is 305 days old. 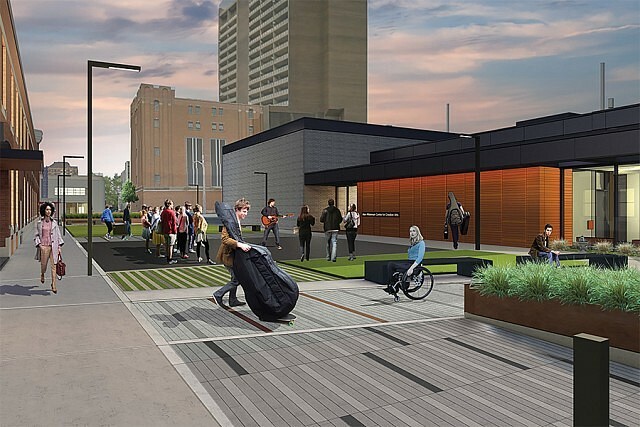 The University of Windsor is holding a community open house on Tuesday to share their vision of a pedestrian corridor and green space on Freedom Way between Park Street and University Avenue East. The new space isnenvisioned as a community space providing students and citizens with a place to study, socialize, and gather for such fresh-air events as film viewings, music and drama performances, art exhibits, public lectures and seasonal festivals. The new link will also extend the campus feel beyond the walls of the Armouries and the Alan Wildeman Centre for Creative Arts. Access to local businesses will remain. It will take place from 12:30pm to 2:30pm in the Freedom Way fenced area between the Armouries and Alan Wildeman Centre for Creative Arts buildings.